Adorable Little Rhodesian Ridgeback Puppies Playing Together In Garden. Funny Expressions In Their Faces. The Little Dogs Are Five Weeks Of Age. Royalty Free Fotografie A Reklamní Fotografie. Image 46420671. 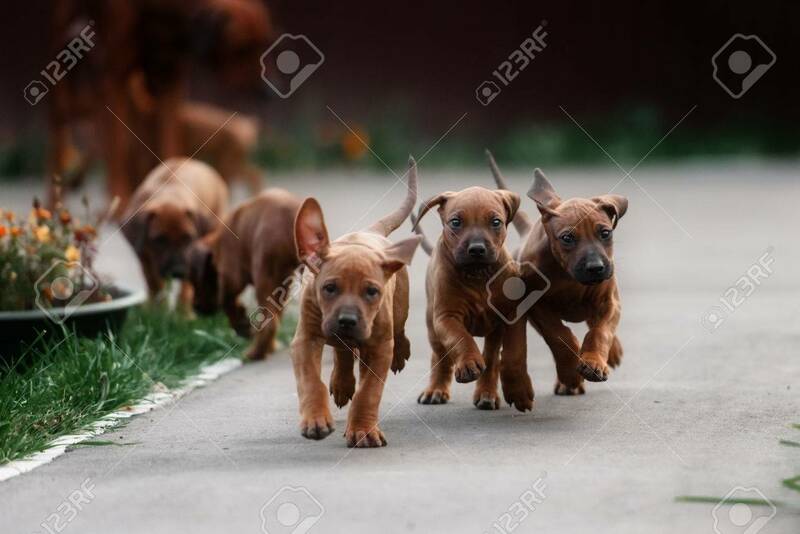 Reklamní fotografie - Adorable little Rhodesian Ridgeback puppies playing together in garden. Funny expressions in their faces. The little dogs are five weeks of age. Adorable little Rhodesian Ridgeback puppies playing together in garden. Funny expressions in their faces. The little dogs are five weeks of age.